Our workshop was created in the Upper Silesia in 1977 by Adam Malachowski, speleologist. Three years earlier the Polish Mountaineering Association (Polski Związek Alpinizmu) was established ­ the institution that associates all Polish climbing and caving clubs. Thanks to partial opening of boundaries and possibilities to obtain funds during working at height, an unprecedented expansion of Polish climbers to the highest and furthest mountains of the world was commenced. 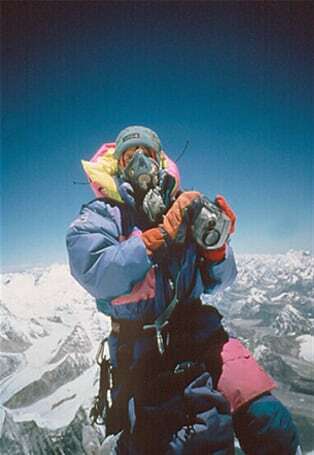 It resulted, among others, in the first winter ascent of Mount Everest and in the Crown of the Himalayas of Jerzy Kukuczka. The Polish speleologists also started to successfully explore the most difficult caves in the world. Our workshop co­organized the scientific polar expeditions to Spitsbergen, aimed at pioneer exploration of glacier caves. The majority of participants of these expeditions were the clients of our workshop. 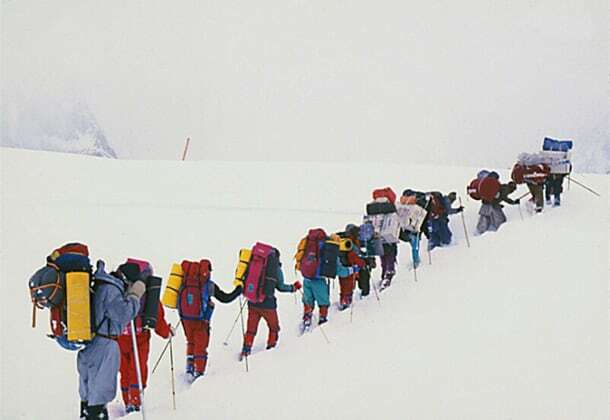 Down products, sleeping bags and jackets, were not only the important climbing equipment, but also a specific type of currency, allowing for purchase of attested mountaineering equipment. At the same time, the experiences gained during these expeditions made it possible to continuously improve the structure and functionality of products. In this way, solid grounds were created for our workshop operation, THERMOACTIVE clothing concept was created, as well as the system of sewing in spacing tapes in the chambers of down products (patent 143773) was introduced. In the 1990s our workshop was moved to Dębowiec, a small locality near Skoczów, hidden among the picturesque hills of the Region of Cieszyn. In spite of the distance from big city centres, we managed to maintain our contacts with mountaineers, including the best Himalayan climbers, among others with Krzysztof Wielicki and Ryszard Pawłowski, but at the same time we also developed the products aimed for enthusiasts of various forms of activity.